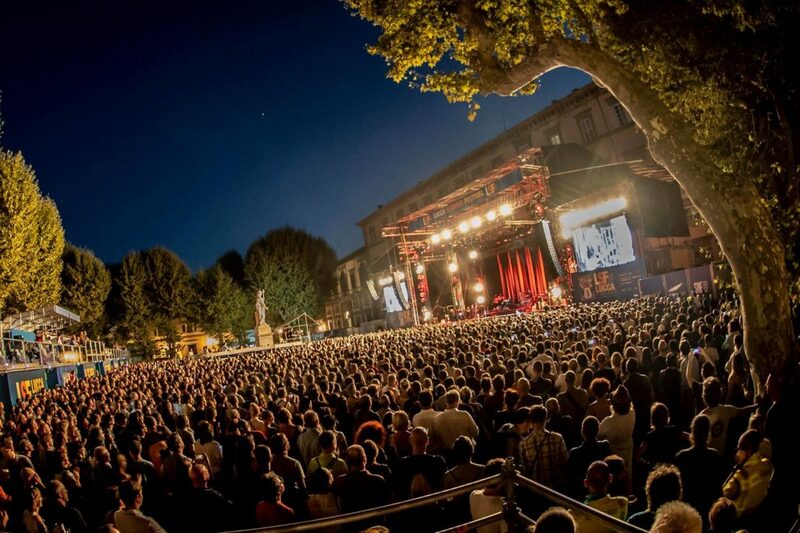 We have been thinking about the concert of Nick Cave & The Bad Seeds in Lucca for two days. Two days of thought regarding music, the blues, the devil, desperation, the search for comfort and solace. Two days and we still haven’t quite figured it out. The train came through at full throttle and struck us down. Nick Cave is a headmaster, a craftsman, a guru, a shaman, a vampire hunter. Nick Cave kept company with the devil and the devil wrenched away his fifteen year old son. This is the tragic reality, the most plausible to try to understand what happened on stage in this tour. Never before have life and desperation been played with such mystic force and resonant anger by Nick Cave & The Bad Seeds. You are left stunned. Sudden solids and voids, dynamics that hit with alienating violence. His journey in the music world has been like a punk-rocker in search of voodoo in New Orleans, through the mud and sands of the Mississippi Delta, a voyage to the profound and no-rules world of the blues, right down to the bowels of the earth. 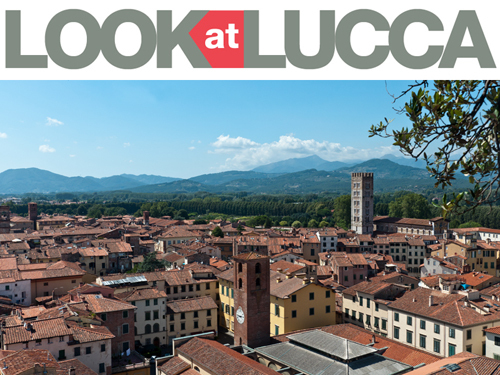 On Tuesday, July 17th all this went down in Lucca. 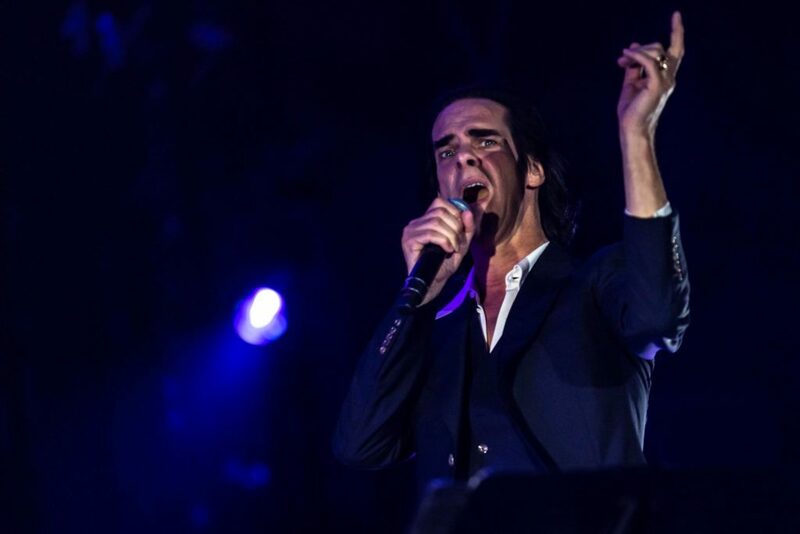 Nick Cave & The Bad Seeds hit the stage at 9:30 pm to leave Piazza Napoleone in flames two hours later. From the first notes of “Magneto”, following “Jesus Alone”, we understand that it will be a night of no half-measures with a frenzied Nick Cave from the onset. After a few songs, there is an out-and-out explosion when the audience hears “From Her to Eternity”, a growing resonance, a distorted rage capable of agitating and leaving you both numb and excited at the same time. After “Loverman”, “Red Right Hand” is performed with a rage that continuously seems about to spend itself but then returns to total mayhem. The section dedicated to ballads opens with a slow rendition of “The Ship Song”, while “Into My Arms” is similar to the original version with Nick enunciating the words, “I don’t believe in an interventionist God, but darling, I know, that you do”. A God who doesn’t exist in the life and convictions of the Australian singer-songwriter, but permeates the world of his songs. And thinking about it, this concert has something of the Messianic to it. “Tupelo” and “Deanna” raise the temperature of the room to the limit. By now, Nick has a hold over us and not just over those squeezed against the barriers of the stage, but even those of us who are tens of meters back. “Jubilee Street” and “The Weeping Song” produce an unsteady calm, “Stagger Lee” is as if you’ve stuck a finger into an electrical socket, and, as usual, it’s when the stage is invaded. Shortly after, while singing an excellent rendition of “Push The Sky Away”, the master of the piazza invites the audience to push the sky upwards with their hands, a commanded, choreographed gesture, once again extravagantly wonderful. “Rings Of Saturn” concludes the evening leaving us in a state of shock mixed with a desire to fully understand what has just transpired, without the certainty of being able to do so. 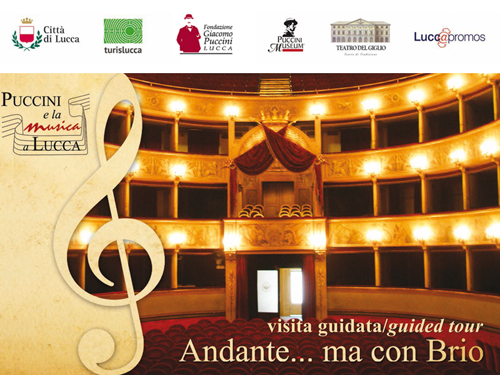 Posted in Blog ed etichettato concert, Lucca, Lucca Summer Festival, Nick Cave. Bookmark the permalink.